Introducing the most advanced captioned telephone available! If hearing on the phone is the problem, Hamilton® CapTel® is the perfect solution. You’ve read captions on TV – now imagine reading captions on your telephone. This is what the Hamilton CapTel Phone is all about. Listen and read captions of everything said on every call – incoming and outgoing. Integrated answering machine “captions” your voice messages. Adjustable volume control (up to 40dB gain) ensures comfortable listening levels. A nationwide service – available to individuals with hearing loss. Requires a telephone line and a high-speed Internet connection. The captioned telephone service is free and available 24/7, nationwide. Choose the Hamilton CapTel Phone that’s right for you! Both the Hamilton CapTel 840i and the Hamilton CapTel 2400i are available for $75 (including shipping and a 30-day money back guarantee). So if you or someone you care about just can’t hear on the phone, see the difference one phone call can make with Hamilton CapTel. With a contemporary design in every respect, the Hamilton CapTel 2400i offers touch-screen navigation for on-screen menus, easy access to Customer Care, speaker phone capability and Bluetooth connectivity. Order Your Hamilton CapTel 2400i Phone Today! Or, call toll-free 888-514-7933 to order your Hamilton CapTel Phone directly. 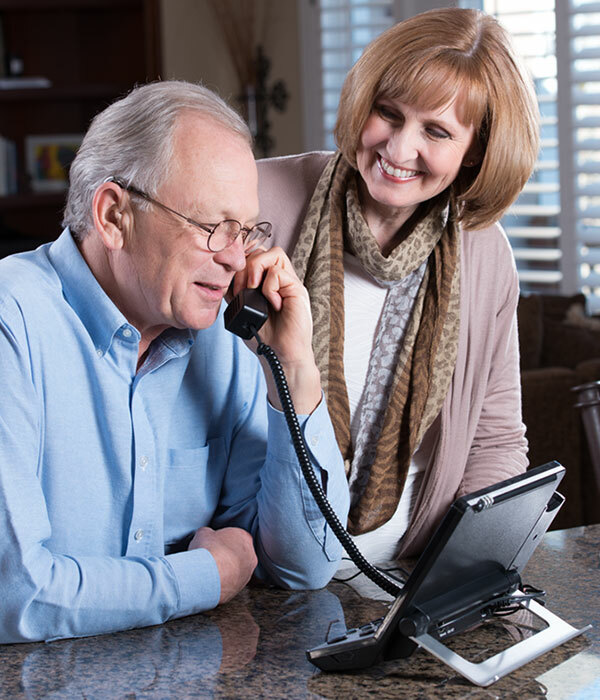 With the size and feel of a traditional home phone, the Hamilton CapTel 840i offers conventional buttons for navigating on-screen menus, contacting Customer Care, initiating speed dial, and adjusting the tone and volume. Order Your Hamilton CapTel 840i Phone Today! 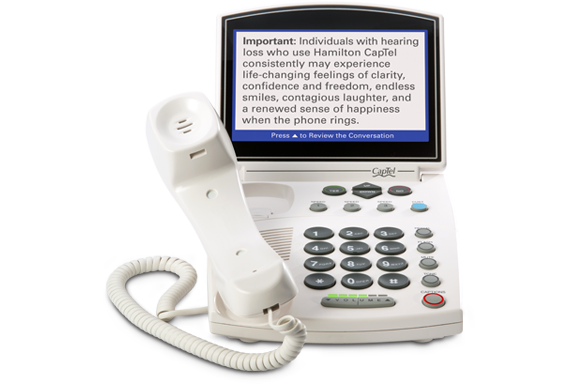 See how the Hamilton CapTel Phone can work for you. 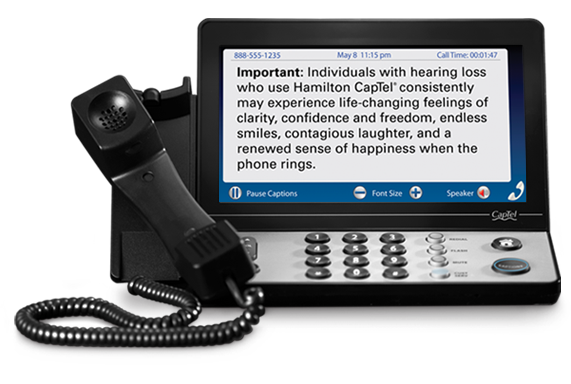 As simple to use as a traditional telephone, every Hamilton CapTel Phone includes advanced calling features – plus a large, easy to read LCD screen. See what you’ve been missing with Hamilton CapTel.